Calling all concert lovers, theatergoers and comedy clubbers. Whether you want to rock out with Classic Rock royalty, Laugh out loud with comedy legends or swoon with Broadway’s Best, Mount Airy has a wide variety of big-name talent ready to perform just for you. The best entertainment in all of Pennsylvania is waiting for you at Mount Airy Casino Resort. During the day, get to know the golf course where each hole is inspired by Sport’s Illustrated “Best 18 Holes in America.” Master golf architect, Hal Purdy, brings you a course known for its distance drives and 6,500 yards of manicured greens. There’s no better place to test your skills and take in the Poconos’ inspiring beauty. Turn your clubs into cocktails and enjoy live music at Mount Airy Casino Resort’s classic venues. 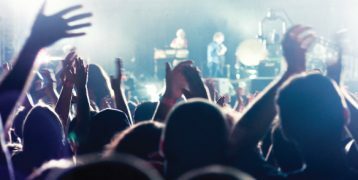 Whether you’re looking for a theater experience, a rock concert or a night of comedy, you can be sure that Mount Airy Casino Resort will have the best selection of nightly entertainment.